Using that checklist, you can quickly troubleshoot/understand most ACE configurations. So what does that list mean? First off, let’s define what a VIP even is: In load balancing terms, it refers to an IP and TCP or UDP port combination. In that regard, it’s a bit of a misnomer, since VIP is an acronym for “Virtual IP”, and only implies an IP address. Depending on the vendor, a VIP can be called a “Virtual Server”, “Virtual Service”, although it’s commonly referred to simply as “VIP”. It’s whatever you point the firehouse of network traffic to. I’m not anti-GUI (in fact, I think the GUI is increasingly necessary in the network world), but in the case of the ACE (and CCIE DC) you’re going to want to use the CLI. It’s just faster, and you’re going to feel the need for speed in that 8 hour window. Also, when things go wrong, the CLI (and config file) is going to allow you to troubleshoot much more quickly than the GUI in the case of the ACE. 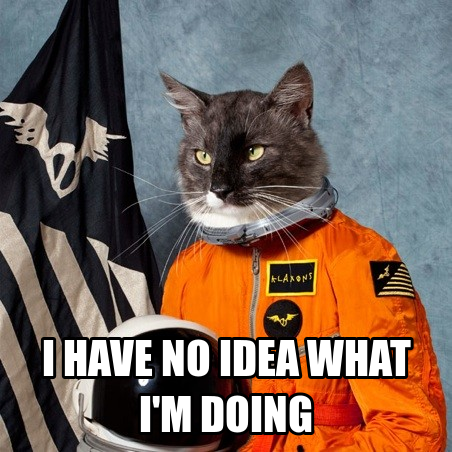 The CLI for Cisco ACE can be a little overwhelming. For some reason, Cisco decided to use the Modular QoS CLI (MQC) configuration framework. To me, it seems overly complicated. Other vendors have CLIs that tend to make a lot more sense, or at least is a lot easier to parse with your eyes. If you’re familiar with class-maps, policy-maps, and service-policies, the transition to the ACE CLI won’t be all that difficult. It works very similar to setting up QoS. However, if you’re new to MQC, it’s going to be a bit of a bumpy ride. Many an ACE configuration problem has been caused by forgetting to put an ACL rule in. My recommendation? Even if you plan on using specific ACLs, start out with an “any/any” rule. And don’t forget to put them on the interface facing the client (outside VLAN). Once you get everything working, then you can make a more nailed-down ACL if required, although most don’t since there is likely a firewall in place anyway (even the Cisco example configurations typically only have an any-any rule in place). If you do use a more specific ACL, it’s often a good idea to switch back to any-any for troubleshooting. Put the more specific rule in place only when you’re sure your config works. The next step is to create a class-map that will catch traffic destined for the VIP. You should always include an IP address as well as a single TCP or UDP port. I’ve seen configurations that match any TCP/UDP port on a specific IP address, and this is usually a really, really bad idea. This defines a VIP with an address of 192.168.1.200 on port http (port 80). Even if you set up multiple ports on the same IP address, such as port 80 and 443, use different class-maps and configure them separately. 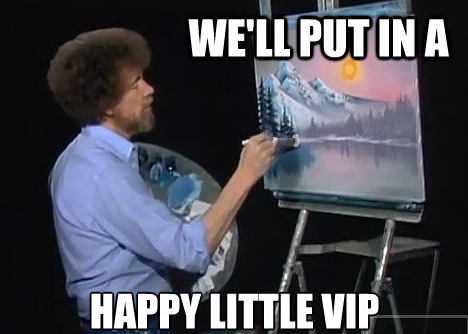 Here is where the VIP is defined as either a Layer 4 VIP or a Layer 7 VIP. The example below is a simple Layer 4 VIP (the ACE is not aware of anything that happens above Layer 4). You can get a lot fancier in this section, such as sending certain matched traffic to one server farm, and other traffic to others, and/or setting up persistence. Again, this is the most basic configuration. You will typically have multiple Step 2’s and Step 3’s, but they exist as independent declarations so you’ll need something to round them all up into a single place and join them. In most configurations, you will typically only have one multi-match policy-map. This multi-match is where you marry a Step 2 class-map to a Step 3 policy-map. In this example, two separate class-maps use the same policy-map (which is fine). Finally, for any of this to work, you’ll need to apply the Step 4 multi-match policy-map to a VLAN interface, the one that faces the client. no shutdown <-- Don't forget the no shut! Hope this helps with demystifying the ACE configuration. A short little check list can really help save time, especially in a time-constrained environment like a CCIE lab. While I agree with you and always specify exact TCP/UDP ports in my class maps, can you explain why this it’s a very bad idea to use any port? Sure thing. Basically, if you let *any* port get load balanced, any port *does*. Like NetBIOS, IMAP, SMTP, probably ports you don’t want exposed to the public network. Hopefully a firewall would protect all that, but by specifying the port you’re assuring that it won’t happen. Funny, I was reading the intro and thought to myself, “Why is Tony talking about QoS?” Except for a repeated policy-map, your 5 steps read an awful lot like the Modular QoS CLI (MQC) on IOS. For those of us R&S nerds, I think that will be a good thing. Provided we can remember the extra policy-map steps. Yeah, the MQC was done on purpose, but I have no idea why. For people coming from the F5 world (which has more than double ACE’s market share) MQC is an alien language, and the barrier to entry is much higher than F5’s config. That said, ACE’s GUI has gotten better (though still not as good as F5’s), but there are some things you’ll still need the CLI for. 1. configure the management policy and apply it to the inbound interface – you may not be able to assume that the default policy has been applied in the CCIE exam. 4. put the rservers in a serverfarm. Your config seems to have magically found a serverfarm called SERVERFARM1 with some rservers in it. Wouldn’t count on that in the exam. You did catch my wrong order of my access-group declarations, so I added it. I also did create a VIP for the HTTPS, just didn’t mention it in step 2. I would also add “loadbalance vip icmp-reply” for troubleshooting to make sure VIP is actually operational from outside world. You know, I never use ICMP for troubleshooting VIPs. I always use Telnet by telneting to the IP:port. Doing that, Telnet becomes a generic TCP client. I can also run things like “GET /” to test (in a rudimentary way) all the way through Layer 7. Without “active” the VIP will reply to ping regardless of the state of the serverfarm. With “active” it will only reply if one or more of the rservers are passing their health check. It depends what you’re trying to achieve. Tony, it’s a fairly common go-to test for other people outside of the networks area, especially if you’re load balancing for a website and while it’s certainly not needed I’ve found it can be useful to have it enabled. Probably more of an ACE 102 extra rather than an ACE 101 essential, I guess? Great post. One question: how can I get rid of “Error: Entered VIP address is not the first address in the VIP range” when creating the VIP? hi, right now i’m working with an ace module using contexts and i try to create a VIP without using NAT within the class under de multi-match but it does not work for me, can you tell me if i’m missing something? please. Thanks very much this helps a lot, being use to the Arrowpoint 11800, and CSS 11506’s. Does this mean I don’t have to declare nat-pool and how will my midtier servers (remedy web frontend) now how to route back to clients? You do need a nat-pool if you’re doing SNAT, which is typically the case if the ACE isn’t the default gateway.